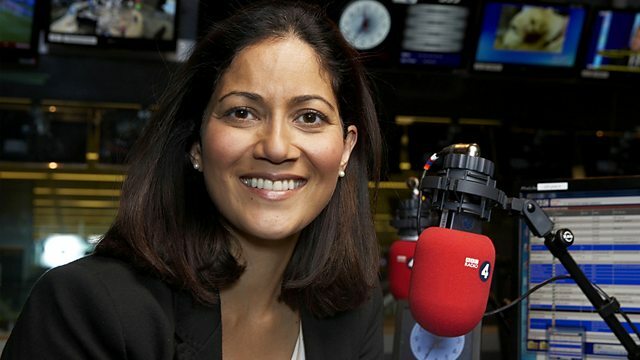 Mishal Husain presents seasonal dispatches ranging from the Christmas card sender you can't reply to, festive policing, seeking new soul mates and wassailing with a horse's skull. In the Christmas edition, Mishal Husain introduces dispatches from journalists and writers around the United Kingdom which reflect the range of contemporary life in the country. Ian McMillan tells a story known with subtle variations across the country - the Christmas card that's received each year but which can't be acknowledged because you've lost the address of the people who send it. They aren't relatives, they're not friends and they're not really acquaintances. But their card says something profound beyond the sentiments it contains. Meanwhile, Jane Labous joins the Special Constables on Christmas patrol. They're part of the police force in England, Scotland and Wales and yet not for they are volunteers who have the power to detain and fine those who break the law. At a time of tight police budgets in Dorset, the regular police tell Jane, without the Specials there would be many fewer arrests. But who are the Specials and what is the essential job they perform for no salary? Those who are single at Christmas may be thinking the best present they could have is a partner to shower them with affection and maybe the odd gift. Increasingly, they are turning to technology to find that special one and Melanie Abbott discovers if online dating is delivering for them. With the seasonal party season in full flood, Datshiane Navanayagam reveals that while she loves make-up, she'd rather wear it indoors, unseen by the rest of us, and then wipe it off and go to bed than show it in public. Can a celebrity make-up artist she approaches change her mind? And Garry Owen explains why a rude horse is coming to call more frequently in Wales at this time of year and how she should be greeted if there's a knock at your door. Sign up to the From Our Home Correspondent podcast for the latest episodes.